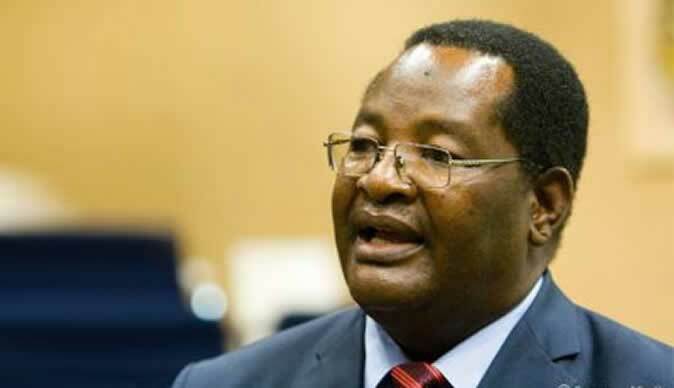 Former Home Affairs Minister Dr Obert Mpofu has resigned as Matabeleland North Senator and has notified the august House of his decision to leave the seat, Senate President, Marble Chinomona, has said. Chinomona told Senate on Tuesday that she had received a resignation letter from Dr Mpofu and a vacancy had arisen in that province. "I have to inform the House that I have received a resignation letter from Honourable Senator Mpofu, Senator for Matabeleland North Province. Section 129 (1b) of the Constitution of Zimbabwe provides as follows; "The seat of a Member of Parliament becomes vacant upon the member resigning his or her seat by written notice to the President of the Senate or to the Speaker as the case may be. "Pursuant to the above, I do hereby inform this House that a vacancy has arisen by the operation of the law. The necessary administrative measures will be taken to inform His Excellency, the President of the Republic of Zimbabwe and the Zimbabwe Electoral Commission (ZEC) of the existence of the vacancy in line with Section 39 (1) of the Electoral Act, Chapter 2:13 as amended," said Chinomona. Last week, Dr Mpofu told the media that he volunteered to relinquish his Senatorial seat to pave way for Home Affairs and Cultural Heritage Minister, Cain Mathema, to take his Parliamentary seat after it was noted that there were more than the constitutionally prescribed five Cabinet ministers that President Mnangagwa had appointed outside Parliament.